Dimensions: 8-1/4 x 10 in. 40 pages. For ages 4-8. Hardcover. Through harmony and rhythm, resonance and pitch, Ann Rand inspires readers to listen to the tuneful play of her text as it sings off each page. 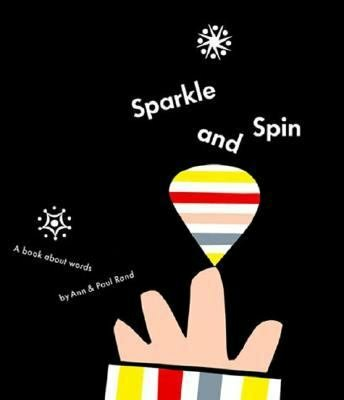 Illustrated with graphic designer Paul Rand's colorful, witty artwork, Sparkle and Spin is a children's classic (now happily available again through Chronicle Books) that reveals to young readers the power and music in the words they use every day.